On March 19, 1955, CBS affiliate KBET, owned by Sacramento Telecasters, signed on air as Channel 10 in Sacramento, California. On March 6, 1995, Channel 10 passed another milestone. After more than 40 years of carrying CBS programming, KXTV switched network affiliations to ABC. In November of 1999, KXTV became one of the first Sacramento stations to initiate digital broadcasting services, including a high definition television (HDTV) signal. In January of 2001, KXTV adopted News10 as an overall brand name. The brand symbolizes the pride the station takes in its news efforts and speaks to the overall dedication of the staff and management to presenting timely, accurate and thorough information. 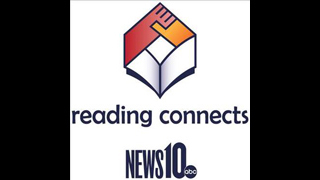 Currently, News10 continues to expand its staff, improve the news product, aggressively promote the station, and reach out to the community. The staff and management of News10 look forward to a bright future as we enter the 21st Century.